Kris Calef, who holds the title as president and CEO, founded the Microbrewed Beer of the Month Club. Since 1994, Microbrewed Beer of the Month Club has grown to be one of the most well-known beer clubs out there and has earned serious respect from beer lovers and breweries around the world. Microbrewed also offers a few different types of beer clubs, which is not very common amongst other beer clubs. Microbrewed offers four different club choices, which includes a U.S. variety, international variety, a mixture of U.S. and international and of course Kris’s personal favorite, The Rare Beer Club. 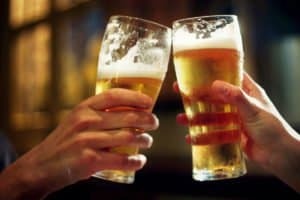 But for now let’s learn a little about Microbrewed’s most popular beer club, the U.S. & International Variety Beer Club. Okay, so here is how it works. Each glorious shipment contains 12 12-oz. hand selected beers from international and U.S. breweries. Like most other beer clubs, you’ll receive four different styles of beer and three of each style. You’ll be given the option to choose the frequency of these beer shipments and exactly how many shipments you would like to receive with a minimum of 2 shipments. The two shipment minimum can be a downside if you are looking for a one-month membership. The shipment frequency is broken down into monthly, bi-monthly, or every third month. They also provide the option for an ongoing membership, which will charge your credit card each month until you cancel your membership. Make sure to check out my best beer of the month clubs article to help you get an idea of exactly how and why I rate beer clubs the way that I do. It will also help you get a better idea of what you should be looking for in a club before you start your membership. If you’re looking for a great variety of beers, this club is a great choice. Microbrewed categorizes their beers by brewery, country, and style to ensure that you get a variety of beers from all over the world. You’ll never get the same beer twice don’t worry. 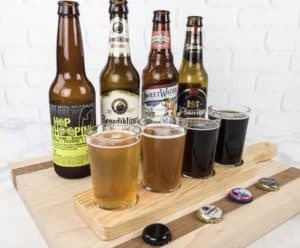 By choosing the U.S. and International Variety Beer Club, it creates a unique variation of beers specifically because of the origin of the different breweries that perhaps you would have never been able to try otherwise. Microbrewed offers every single type of beer out there and does not choose from a list of a few different mainstream styles. Their January 2015 selection included an American IPA, English-style pale ale, oyster stout, American amber ale, English porter, English-style ale, quadruple from Belgium and a Belgian-style dark ale that was brewed with cherries. This list goes on and on from month to month. 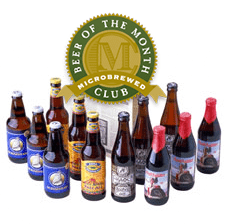 Microbrewed’s monthly beer selection process is where they excel above most other beer of the month clubs. They are certainly not half-assed when it comes to selecting the most unique and hard to find beers. In fact, their selection process is highly in depth while each beer goes through several different steps in order pass and receive their approval. Their panel of judges consists of brew masters and beer judges that have a combined experience of over 100 years in the craft beer industry. These craft beer wizards have been featured judges at the Great American Beer Festival and several other beer competitions. These are just any ordinary Joe’s throwing a few cool looking beers into a 12-pack. These guys are serious about beer. Once the craft beer gets the approval from the panel of judges, it is then put in line to be shipped right to your doorstep. With this particular beer club, you are not able to pre-select the type of beer you would like ahead of time. Each 12-pack is pre-selected by the panel of judges. However, if you’re in love with a specific beer that was selected that month you can re-order right on their website. If you’re looking for a beer club that has built an outstanding community, look no further. 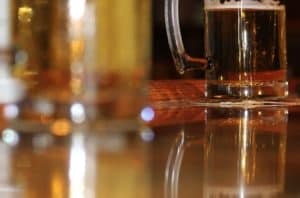 Microbrewed’s Beer of the Month Club has created a blog and newsletter that allows members to access tons of useful and interesting info. Included are things like detailed information on the most recent beer selections, recipes and pairings, beer education, beer events, tasting notes from the panel of judges and tons more. They have also created an awesome Facebook page that allows users to interact with one another. This is a great place to share your thoughts about the latest selection as well as meet new people that also share the same passion as you do. The Microbrewed Beer of the Month club Facebook page will even get you up to date on the latest news in the craft beer world as well as keep you entertained with not so important but funny meme posts about beer and everything to do with it. This club is much more than a few beers showing up at your doorstep; it’s a craft beer community. Receiving beer that was just shipped across the U.S. can make some people skeptical, nervous and perhaps even turn them completely away. Microbrewed gets that and has perfected the beer shipping process. It all comes down to how they ship and when they ship. Each beer shipment is packed and prepared carefully and strategically to ensure there are no broken bottles. In addition to being packed with care, Microbrewed Beer Club knows exactly when and why to ship certain styles of beer for optimum flavor. Microbrewed places a high importance on building a more personal relationship with their customers and making sure that they are completely satisfied with their membership. 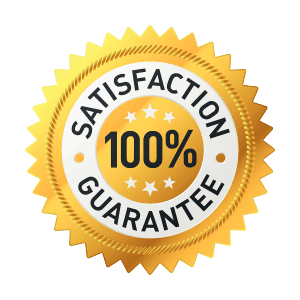 In fact, they even offer a 100% satisfaction guarantee. This guarantee says that they will replace or refund every product that you will purchase if you’re not completely satisfied. They have also been a member of the Better Business Bureau since 2005 and have received an A+ rating from 750,000 satisfied customers. Not too bad eh? In my opinion, this is definitely one of the best of the best beer of the month clubs out there. They’ve got beyond excellent variety and selection along with a great community of beer lovers. This is a beer club truly made for the beer enthusiast. Here is their website.